A new LIMITED EDITION 100% Wool cloth, this beautiful country tweed suit is perfectly complemented by a maroon tweed waistcoat with lapels. 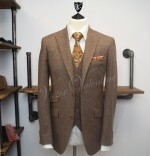 Colour coded maroon lining for the inside jacket and waistcoat finishing the look perfectly. The vintage brown wooden buttons are the icing on the cake! 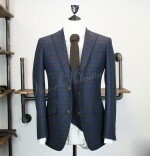 This is an absolutely stunning high end tweed suit. We will only be making 25 of these so a really exclusive look. 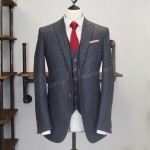 Absolutely stunning suit the quality is outstanding, service is fantastic and any calls or mails are promptly answered, highly recommended if its a high end tweed suit you are looking for.Fantastic suit big thanks to all the team involved you are an absolute credit.